Homeschooling is legal, so why is there conflict between families and school authorities? Homeschooling is a valid, legal, and proven educational option; and, it seems that conflict with school authorities should be unnecessary. The level of conflict or cooperation can vary according to the school, school board, the family’s situation, province, and even the year. Québec does tend to have more than its fair share of conflict between homeschool families and school authorities. 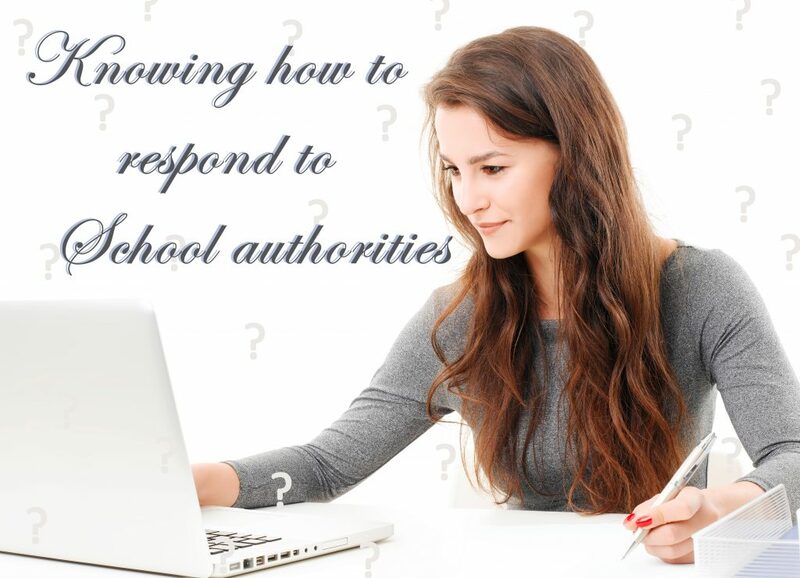 So, do you know how to respond to the various demands made by school authorities? The first thing to know is ­­­­­your rights. Parents across Canada have the right to homeschool and do so for a myriad of reasons, none of which have to be expounded. You are choosing the educational option that suits your child best at this time. You also have the right to choose the curriculum best suited to your child and the type of evaluation that complements these choices. The next thing to know is your obligations. This varies from province to province, so it is best to check with HSLDA and/or your provincial association if you are unsure. For example, in Québec the law, for the time being, is one brief and vague provision—Article 15.4 of the Education Act — is a double-edged sword allowing great freedom while opening the door to conflict between the school boards and parents. Part of the tension stems from the personal perception of the authorities in question, be it school board administrators or school principals. Some have at least a basic knowledge and even a positive view of homeschooling, while others do not at all. If a negative stance is combined with the vague and fuzzy law, the authorities often do not know how to handle homeschooling. Compound this confusion with less than amicable relations between parents and the school, and it is potentially a volatile situation. That being said, HSLDA excels at finding workable solutions and maintaining good relations with schools and school boards as much as possible. We also help walk our members through the various scenarios they encounter. We aim to support you in being proactive in working with school authorities, which is why we ask members to keep us informed of letters, emails and phone calls between them and school authorities. An ounce of early intervention is worth a pound of cure. The principal asks me to come in and sign some papers. – Ask them to send the documents so you can review them. It is perfectly reasonable to take time to read anything before signing. When you receive them, contact HSLDA. What comes next depends on what is in the documents. The principal wants me to come in to discuss my homeschooling project. – If you feel a little nervous or unsure before such a meeting, it is normal; but, please feel free to contact us beforehand. When first beginning homeschooling, a brief meeting is acceptable. After that, it shouldn’t be necessary to meet with school authorities more than once a year (usually at the end of the year for an evaluation). The rule of thumb when meeting school personnel is to take notes, and do not sign anything on the spot. Tell them you will think about whatever they are proposing, and you will get back to them after you consult with your homeschool association. Then contact HSLDA so we can advise the best course of action for your situation. Do homeschoolers deal with the school or the school board? – This also varies, partly according to the school board’s method of operation. If you’re unsure, it is best to contact us as we have become familiar with the various school boards. We seek the smoothest way of cooperating so you can homeschool peacefully, but effectively. What do I say if the principal or school board administrator calls? – Tell them you are very busy at the moment, but you can take the message and will call back. This allows you to contact HSLDA to discuss the situation and work through potential responses. In essence, it is usually best not to react immediately. Calmly listen, receive the request, question, or documents, and let HSLDA know so we can discuss the best course of action, if any, to be taken for your family. We are here to help you succeed.